Experiments to perfect a cream-colored earthenware body known today as Wedgwood Queens Ware began in 1759, and a large number of these carefully documented trials have survived and are retained in the Wedgwood Museum and archives at Barlaston England. 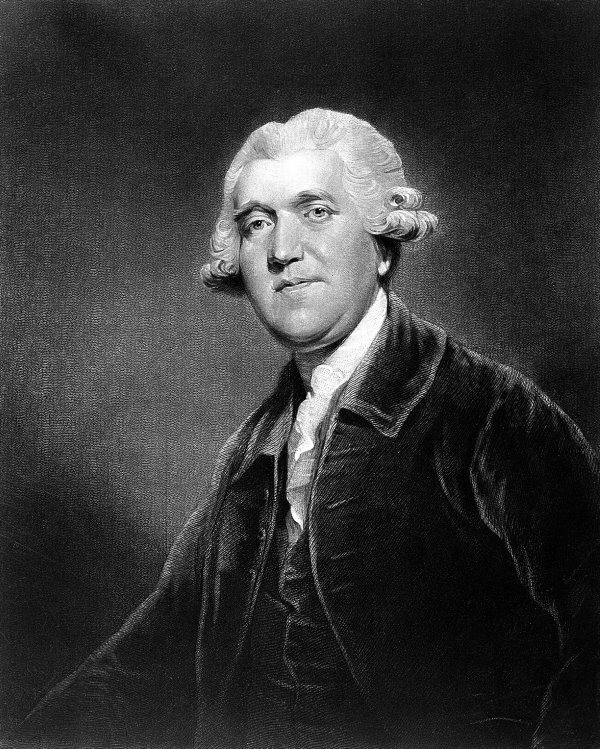 Josiah Wedgwood gained recognition when King George III and his consort, Queen Charlotte decided to favor local artisans to boost the country’s economy. The initial order was placed by the Royal staff of the Queen on her behalf. The order was for a complete tea set of twelve tea cups and saucers, a slop basin or a bowl where the dregs of the tea are emptied, covered sugar dish in a stand, teapot in a stand, and a spoon. Another order was for a coffee pot with twelve coffee cups, six candlesticks, and six fruit baskets in a stand. The tea set must have an embellishment in ground gold with raised flowers in a green background. The fruit basket for the coffee set should also have gold edgings. Wedgwood was proud of the royal order that he took charged of the production himself. He personally supervised the entire production by insisting on complying with the minutest detail like— the application of the gold linings, whether the saucers should have ground gold inside and out, and the specific color and sizes for the tea cups. The first Queen’s Ware pottery – the tea set was presented to the palace on the last quarter of 1765. Wedgwood saw the marketing opportunity by showcasing his brand of cream-colored pottery as against his competitors to the public. He next rented a place on Greek Street, London, as showroom for the royal orders, before it was delivered to the Royal Palace. King George III followed suit by placing an order for a similar breakfast pottery for himself. The news about Wedgwood Queens Ware soon spread throughout Europe. He soon got an order from the British Ambassador of Russia, Lord Cathcart for a similar pottery, for the Empress of Russia, Catherine. The design was in basic scallop shape as that of the Queen Charlotte’s pottery. 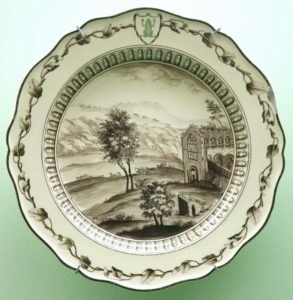 Wedgwood applied the same enthusiasm for this second order which he jestingly named, Husk order. His penchant for details caused him anxiety if he cannot deliver on time and had fears of not coming up with superb service. But like Queen Charlotte, the Russian Service must have great admiration for the artisan, that a larger order was placed in 1773. With his marketing instincts, Wedgwood first showcased the first pottery set before starting out with the second order. He did this for advertising and monetary gain prior to delivering the royal pottery to Empress Catherine of Russia. That next order was bigger and more elaborate. It consisted of 900 individual pieces which proved to be the greatest challenge to Wedgwood’s career. The specifics on the Wedgwood Queens Ware include instructions of having different views of the Russian palace for each plate. With the myriad details and exacting demands, the group experienced many problems throughout the production. There were anxieties that artists who were task to copy the views may have copied them again, if they were unable to find another suitable view. Being respected by royalty in Britain and highly popular, Wedgwood conveyed to his Russian clients, to have their homes and estates painted on the second order instead. This exceptional discernment paid off, and made the production less problematic until it was finished. The Queens Ware that was ordered by the Russians used sepia paint, derived by mixing purple pigments with black. What resulted was a brown tint in a creamy colored glazed plate. The borders come in a mix of green and purple, with a frog for a crest that was painted at the top portion of each plate and dish. The use of the frog was in deference to Empress Catherine who lives in the palace at St. Peters burg that was known as the Frog March. Multitudes of frogs are said to inhabit the surrounding area of the palace. Before the completion of the order, payment became critical since the Russians could scarcely meet the cost of production. There were controversies on the price that took a lot of Wedgwood’s time. The Russian contingent was thinking along the figures of from British Pound 400 to 500. The final tally resulted to a bill of from 3,000 to 4,000 pounds. The high price was due to the extras like —hand enameled paint for each plate, among others. The fears of Wedgwood of not being paid, made him seek assurances from the Russian government that payments will be made. It was not known whether such an assurance was given or not. It has been reported though that payment of 3,000 pounds was given. The amount did not leave much profit for Wedgwood, but he did not care much about short run profits. He knew all along that the orders would give him the necessary advertising for people to come to his London showroom where he will have the Queens Ware Collection at the centre of his megalith empire.